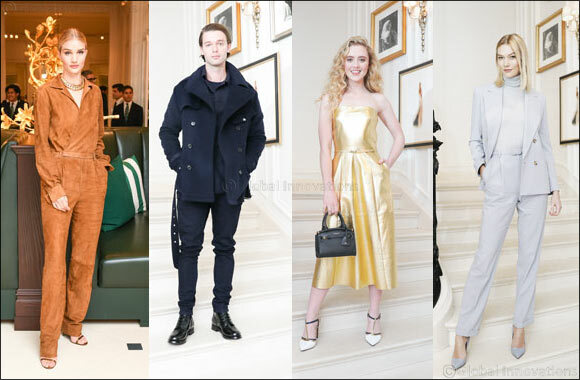 February 9, 2019, Dubai, UAE - Ralph Lauren launches Spring 2019 by turning his flagship store in Madison Avenue into Café Ralph, offering his customers an unparalleled dining experience. The first floor of the store has been redesigned into the Ralph Cafe, an exceptional dining experience. The new café offers visitors a breakfast and enjoy a special show on the new season. The Spring 2019 series is about purity and simplicity in unexpected designs, determined by a bold contrast between black, white and gold. As well as popular forms that we are accustomed to by new standards, including oversized leggings, accompanied by smooth silky pieces with piercing designs. In an initiative to attract consumers through unique and experimental expressions of the leading brand, Café Ralph serves as an extension of the Ralph Café which opened in December 2018. Reservations for the café will be available on Fridays, Saturdays and Sundays, as well as exclusive offers for the Spring 2019 Group. You can also book through OpenTable or through RalphLauren's Intrest account. The Spring 2019 collection will be available today at Ralphlauren.com, in all major international stores and through our major retail partners. The Ralph Café experience will be available to all our customers around the world through direct transport through Ralph Lauren's global platforms on social networking sites, as well as through Ralphlauren.com.